With two low profile speakers in the shoulder area, you can hear and control your music next time you get on the water. No phone, no problem. Download up to 1,000 songs directly to your Groove Vest for up to 7 hours of uninterrupted play! Small but powerful mid-range drivers delivering you loud & clear music every session. The rugged speaker design is built to withstand a beating. Our vests have been thoroughly stress tested to ensure that this vest will last. Crank up your tunes and rip it. 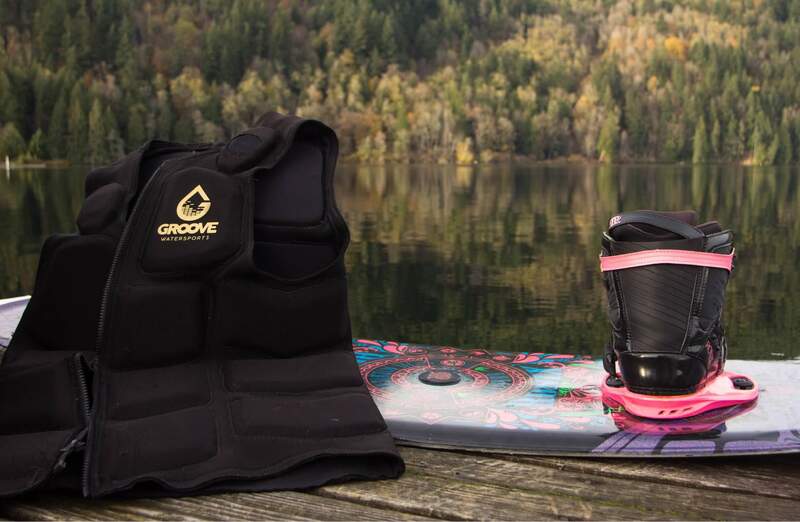 Segmented foam panels align with your body, maximizing your comfort as you rip across the water. Music makes wakeboarding more fun to me, like you almost don’t even have to be all that good, it’s just more fun! This design is sick! I can't even feel the speakers! We will be launching on Kickstarter this summer. For a limited time, you have the chance to buy the Groove Vest at up to 40% off. Join our Waitlist to get this exclusive offer and we will notify you when we launch.